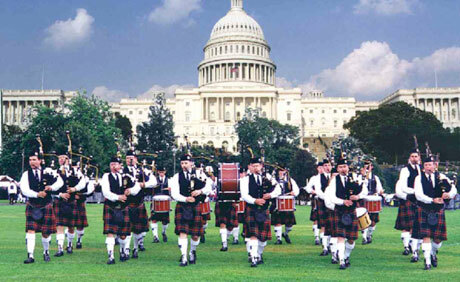 The City of Washington Pipe Band is one of the top competitive pipe bands in the United States, and has been active in the DC area since its inception in 1961. The band performs and competes on the international circuit in Grade I, and has garnered many awards and honors, including the title of Grade II World Champions. Their CD Scottish Rant, is a stunning collaboration with fiddle sensation Bonnie Rideout, this CD features the best in contemporary pipe bands, along with some modern celtic fusion.